Feeling too tired and hot to cook dinner? Me too. After a full day of squeezing in work, playgrounds, pools, and yard work, it’s awesome to come home to an easy dinner that practically cooked itself. 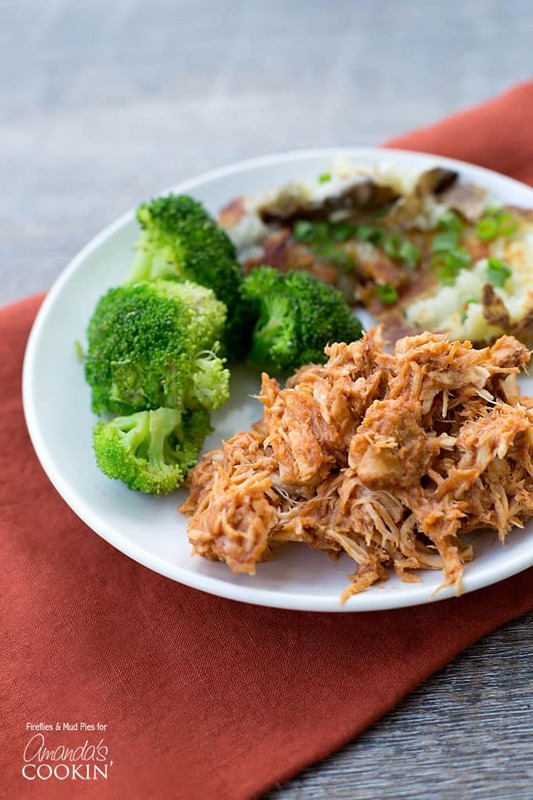 This Easy BBQ Crockpot Chicken uses bottled barbecue sauce as a base, it doesn’t get simpler than this! This chicken BBQ is perfect on rolls, in lettuce wraps, or plain. My children love to eat it for lunch with a side of fresh corn on the cob! It’s also super convenient to bring to cookouts with family and friends. But watch out…it won’t last long! RELATED: Serving salad with your Chicken BBQ? Check out these amazing 15 Summer Salads! Of course you could make a large amount of BBQ chicken in the slow cooker, then freeze it for easy and convenient meals with no cleanup! I like the sound of that! Begin by pouring about 1 cup of BBQ sauce into the crockpot. Add the chicken, thawed or unthawed, then set your slow cooker to cook on low for 6–8 hours. Serve outdoors or indoors and enjoy! Crockpot Chicken and Dumplings soup is always a crowd pleaser. This classic and hearty soup recipe can be enjoyed year-round, especially on rainy days! 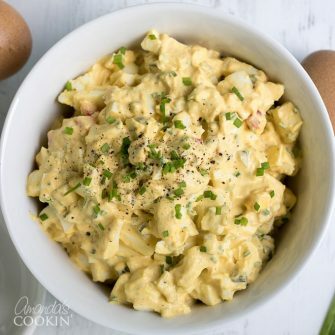 One of our all-time favorites is this super easy no boil crockpot macaroni and cheese. If my family had to choose a favorite, it would have to be these slow cooker barbecue country style ribs. Delicious! 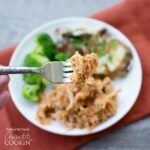 Another crock pot favorite is my To Die for Pot Roast, though my kids have always known it as “stringy roast”. Hearty sandwiches are always great for dinner, and these slow cooker meatball subs are perfect for taking along to football practice! 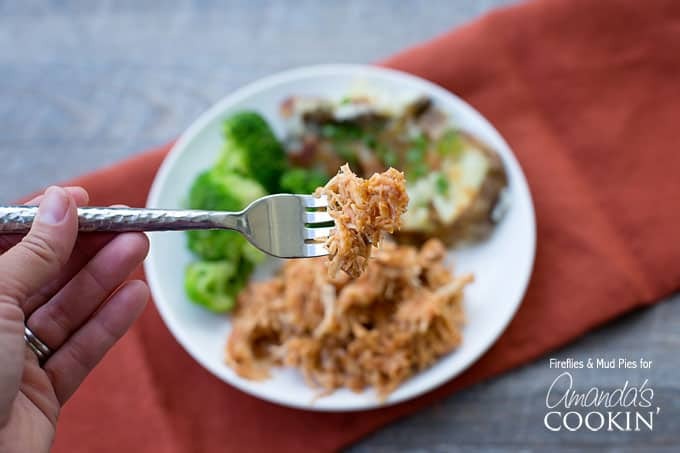 If sandwiches or take-along dishes are a favorite, try this easy slow cooked pulled pork on for size. An easy slow cooker recipe that is perfect for summer! Pour 1 cup of BBQ Sauce into the slow cooker. Add the chicken, thawed or unthawed. 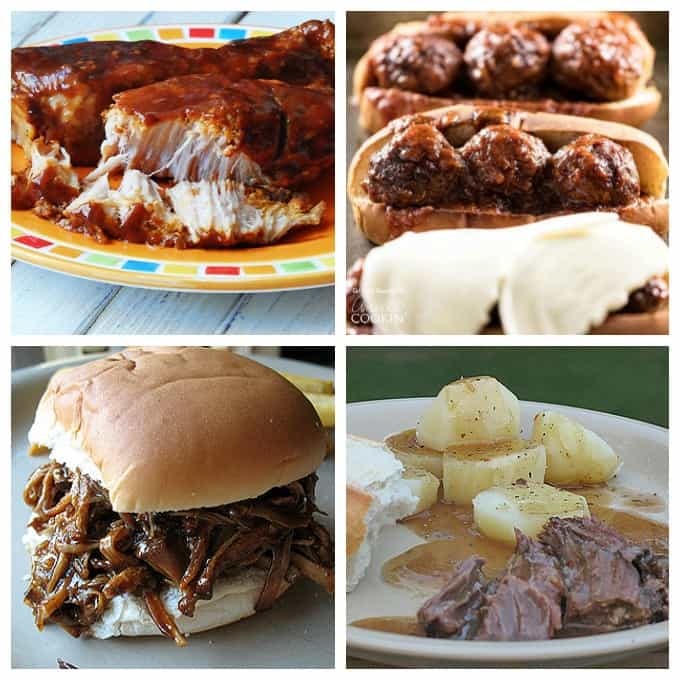 Set the slow cooker on low for 6–8 hours. When the chicken is cooked, it should be soft enough to shred. 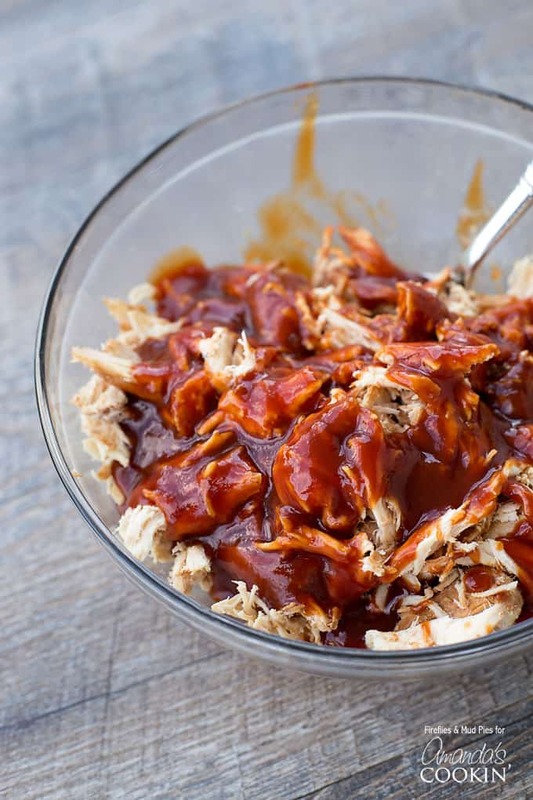 Add another 1–2 cups of BBQ sauce to the freshly shredded chicken. Serve on rolls with fresh summer veggies!